Successfully Added NO.1 D6 3G Smart Watch – Android 5.1, Bluetooth 4.0, GPS, Wi-Fi, Heart Rate Monitor, Pedometer, Barometer (Gold) to your Shopping Cart. Get healthier and more productive with the 3G smart watch - the NO.1 D6. With it, you will be able to make and receive calls right on your wrist with no need to sync to your cell phone, also connect to Wi-Fi and even get connected via 3G for surfing the web. With the popular operating system, Android 5.1, you will benefit from easy and simple navigation and lots of functionality. The cell phone watch is compatible with both Android and iOS platforms and all you need is to download an app called Watch Helper from the Play Store or App Store. The NO.1 D6 3G Smart Watch Phone comes with a heart rate monitor - a great feature for keeping track of your health. You will also be able to use the pedometer as an encouragement to stay more active. Moreover, the built-in barometer will be a useful tool in predicting weather changes when scheduling your outdoor workout. 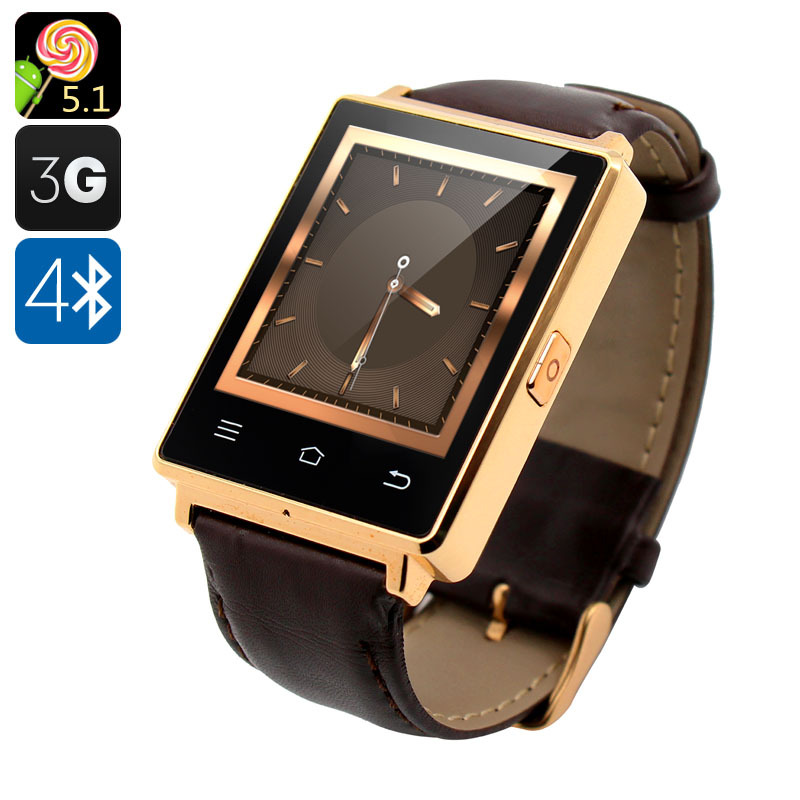 This 3G watch phone comes with a 1.63 inch IPS display with 320x320 resolution, 1GB of RAM + 8GB ROM, MTK6580 Quad Core processor and a battery good for 4 hours of continuous talk time. The NO.1 D6 3G watch phone comes with a 12 months warranty. Brought to you by the leader in electronic devices as well as wholesale Android phones and smart watches..